It isn’t really all that surprising that when Nintendo finally decided to embrace virtual reality for its big-selling Switch console, it decided to have a bit (a lot) of fun with it. Ninty’s first foray into the virtual realms isn’t a PlayStation VR rival by any stretch of the imagination. But imagination is the key word here. 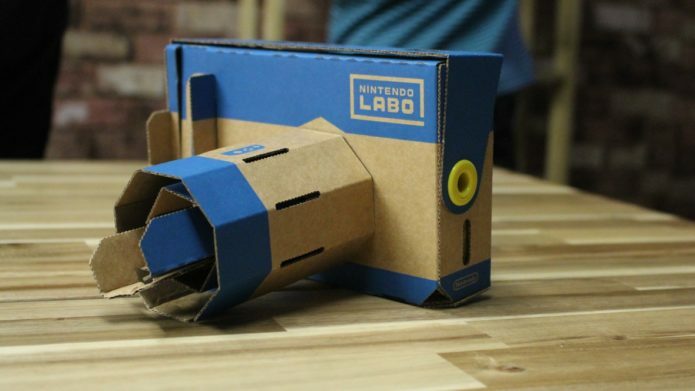 It’s launching a VR version of its Labo DIY kits, which lets you build Toy-Cons (that’s toy controllers) out of cardboard, reflective stickers, rubber bands and, now, VR lenses.